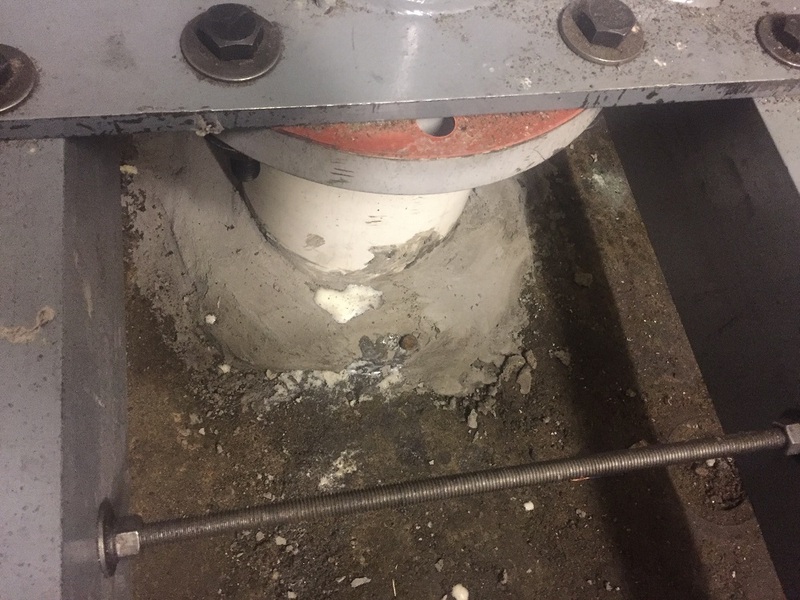 Island Basement Systems has been sealing leaky elevator pits for years, and we provide an excellent warranty program for elevator owners. We commonly work with elevator maintenance companies (Kone, Richmond, etc) so that the waterproofing repairs coincide with regular maintenance. If you have a water issue with your elevator shaft or pit, we can help. Call us today at 1-855-206-4811 or click below for complete elevator repair and waterproofing services. We offer free estimates in Victoria, Nanaimo, Saanich and throughout the surrounding areas. We have a variety of repair methods for water issues in elevators. Our most common is the urethane injection system, where a waterproofing resin is pressure-pumped into the void, joint, or crack to create a water-tight seal. 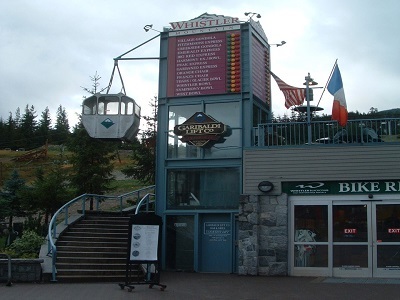 Our experts can evaluate your elevator and recommend the best solution for your needs. 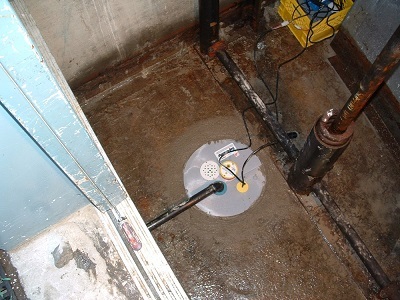 An example of a SuperSump system with battery back-up pump in an elevator pit, which was approved by the Safety Branch. An example of our injection sealing of the void between the hydraulic ram and outer casing. If you're having a water issue with your elevator, the local experts at Island Basement Systems are here to help. We provide complete elevator repair and waterproofing solutions that are proven to be effective and long lasting. Call us today at 1-855-206-4811 or contact us online for a free estimate in Victoria, Nanaimo, Saanich, Duncan, Campbell River, Langford, Courtenay, Port Alberni, Squamish, Esquimalt and throughout the surrounding areas.